Climate change is affecting world systems in many ways, of which one important dimension is sea level rise. This implication, however, has not heretofore been incorporated powerfully in analyses of biodiversity consequences of climate change, for lack of effective means of (1) modeling the degree and extent of marine intrusion into terrestrial habitats, and (2) anticipating dispersal-mediated shifts in natural systems (species, ecosystems, etc.). 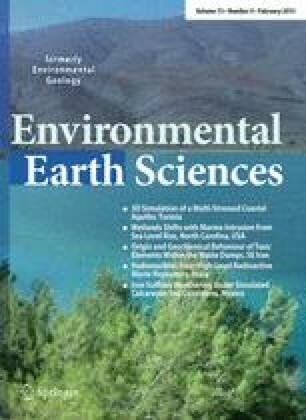 In this paper, recent developments in modeling marine intrusion over complex coastal landscapes are integrated with an adaptation of ecological niche modeling for estimating ‘niches’ of natural systems to anticipate sea level rise effects on them in an appropriate biological framework. This novel series of steps is illustrated with a worked example of wetlands systems and associated species and communities along the coast of North Carolina, but the methodology is novel for anticipating sea level rise-mediated shifts in vegetation types in many coastal systems. Keith French and Chris Dobbs prepared the datasets for analysis. This research was supported by a Grant (DE-FC02-06ER64298) from the US Department of Energy through the National Institute for Climatic Change Research—Coastal Center at Tulane University.